Revenue in the Suits & Ensembles (women & girls) segment amounts to US$10,113m in 2019. The market is expected to grow annually by 4.9% (CAGR 2019-2023). In global comparison, most revenue is generated in India (US$2,533m in 2019). In relation to total population figures, per person revenues of US$1.37 are generated in 2019. The market for Suits and Ensembles comprises ensembles that include a blazer or jacket and trousers made of the same material. They represent the female equivalent to the male suit and are an alternative to dresses and skirts within the area of formal women’s apparel. Reading Support Revenue in the Suits & Ensembles (women & girls) segment amounts to US$10,113m in 2019. Reading Support The Suits & Ensembles (women & girls) segment is expected to show a revenue growth of 7.0% in 2020. Reading Support The average revenue per person in the market for Suits & Ensembles (women & girls) amounts to US$1.37 in 2019. Reading Support In the market for Suits & Ensembles (women & girls), volume is expected to amount to 640.20 m pcs. by 2023. 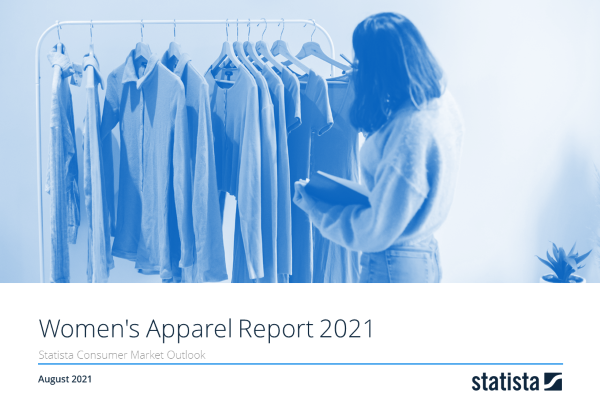 Reading Support The market for Suits & Ensembles (women & girls) is expected to show a volume growth of 4.1% in 2020. Reading Support The average volume per person in the market for Suits & Ensembles (women & girls) amounts to 0.08 pieces in 2019. Reading Support The average price per unit in the market for Suits & Ensembles (women & girls) amounts to US$16.69 in 2019. Reading Support With a market volume of US$2,533m in 2019, most revenue is generated in India.